As the gun violence epidemic continues to plague the country, the 2016 general election has focused sharply on legal restrictions on the buying and selling of firearms. 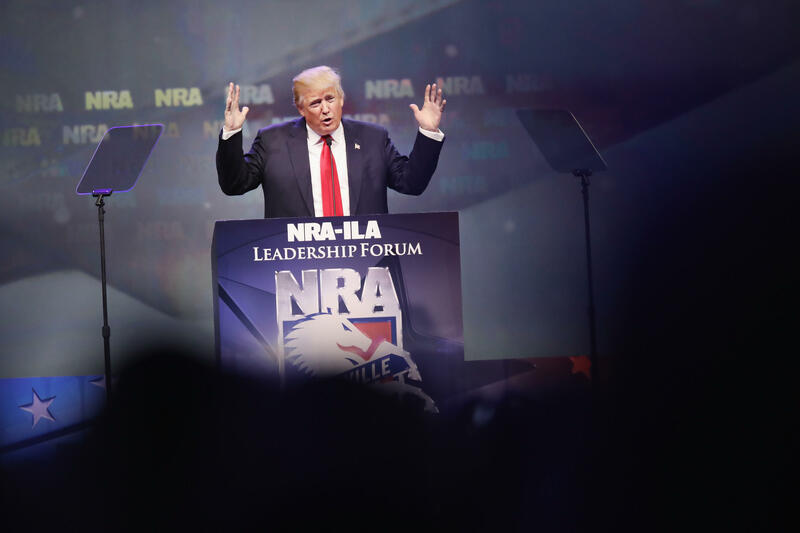 Donald Trump, who was endorsed by the National Rifle Association in May, frequently promises to protect Second Amendment rights at his campaign rallies and often touts his own concealed-carry permit from New York. Trump pledges to enforce existing gun laws, but he has also indicated an openness to new “no fly, no buy” legislation to limit terrorist access to firearms. Trump believes concealed carry permits should be valid in all 50 states. Under a Trump administration, military bases and recruiting centers that are now “gun-free zones” would allow the use of firearms.